No matter what you call them, they are absolutely delicious! My first taste of a Whoopie Pie was when I was a little girl. During the fall and winter months, my mother’s cousin from Massachusetts baked round, chocolaty mounds and sandwiched them together with a sweet marshmallow-like filling that tasted like something out of this world. She spent hours in the kitchen baking for family and friends and children and adults alike. 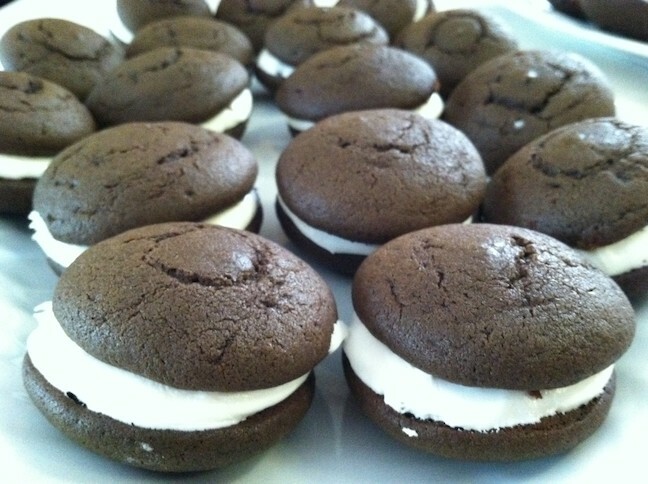 She called these delicious delights, Whoopie Pies! Each time I encounter a whoopie pie in a bakery or country fair, I am brought back to my childhood and a huge smile crosses my face and my mouth starts to water and I just cannot resist the temptation, I have to bite into one! Often times, I am disappointed because it seems that each family has their unique version of these little tasty delights and I am searching for my cousin’s. I do not have my cousin’s recipe for these tasty treats because it is long lost. For many years I have been on a quest to find a recipe that will yield a whoopie pie reminiscent of my childhood memories. The chocolate cookie disks puff up like beautiful circular mounds when baked. The texture of the cookie is almost cake-like; it is soft and crumbly and melts on your tongue. The sweet filling sandwiches two mounds together making these PIES absolutely delicious! So why is it called a WHOOPIE PIE? I do not have the answer to this mystery but the taste is so good that after eating one you would certainly exclaim, “Whoopie!” because they are THAT good. Since PIE is in whoopie, it stands to reason that it should be called a pie! Today you can find many variations of the original Whoopie Pie including but not limited to the original chocolate, vanilla, banana, gingerbread, pumpkin and even red velvet versions. Enjoy tasting them! 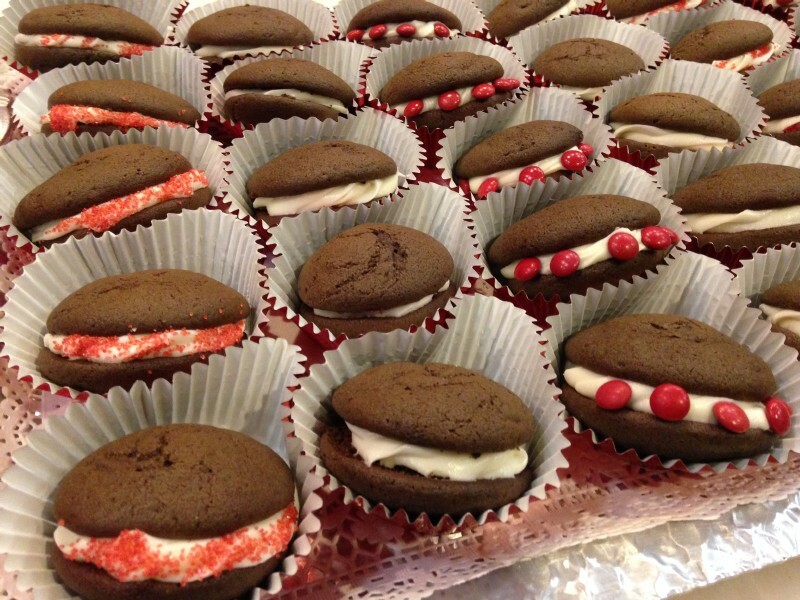 Please share your favorite Whoopie Pie recipe with us along with your idea of how these treats got their name!